Recognizing a pathologists need to be quick and decisive when evaluating frozen section biopsies, Diagnostic Pathology: Intraoperative Consultation is your go-to, on-the-spot reference for quick, definitive guidance to ensure efficient handling of specimens, making accurate diagnoses, and writing effective reports. 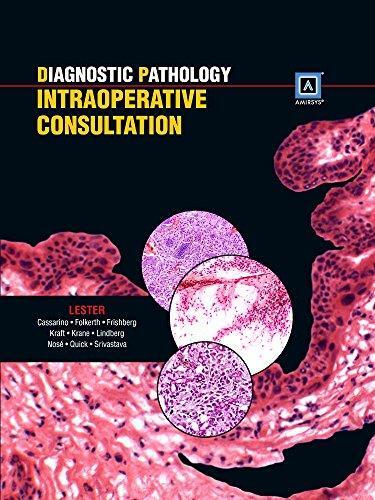 This volume in the Diagnostic Pathology series offers practical, bulleted information and thousands of detailed images organized to address specific questions that need to be answered during an operation. Organized alphabetically by disease, it is the only resource presenting images and information on the most common diseases ranked according to the likelihood of diagnosis on frozen section. “We like this book. Reporting frozen sections is however best learned from experience and with the assistance of a senior pathologist.” Review by PathLab.org March 2015Published by Amirsys, a globally recognized medical information publisher.Heavily illustrated along with hundreds of annotated images.Bulleted and succinct text format distills essential information for fast and easy comprehension. Comes with Amirsys eBook Advantage™, an online eBook featuring expanded content, additional eBook images, and fully searchable text.